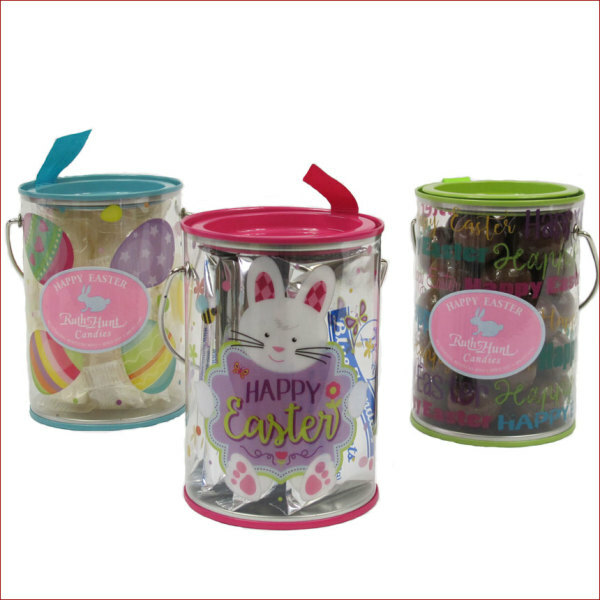 Celebrate Easter giving with these small clear pails decorated for the season. We offer some of our favorite candies in these cute ornamental containers. Choose between our Original Cream Candy, Original Blue Mondays, or the tripled dipped Malted Milk Balls. Containers are approximately 3 1/4 x 4 1/2 inches.